1,070 ± sq. 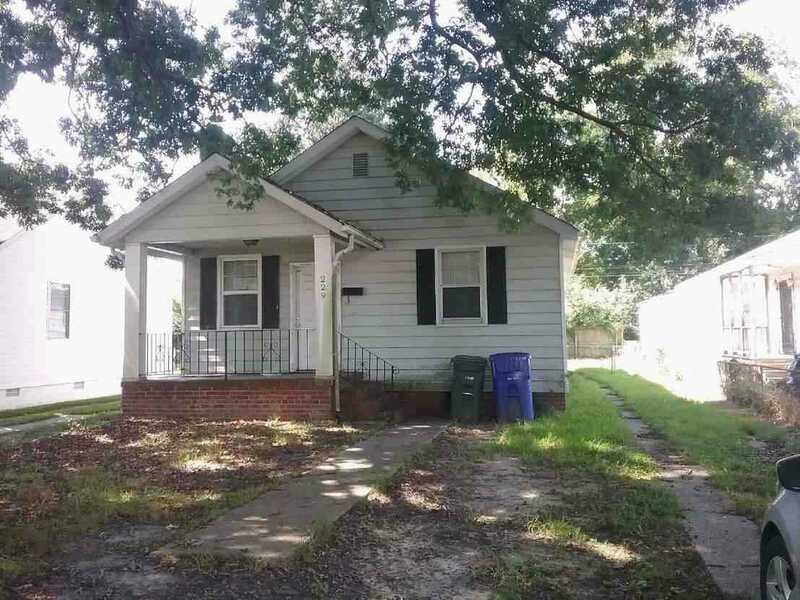 ft. 1-level home with 3 bedrooms, 1.5 baths, fireplace, covered porch, and deck. The property has a detached garage. SINGLE FAMILY HOME Per the stated Terms of Sale, this property is sold AS IS WHERE IS WITH ALL FAULTS. 1,070 ± sq. ft. 1-level home with 3 bedrooms, 1.5 baths, kitchen, dining room, living room with fireplace, and laundry. The property has a covered front porch, deck, 2-car driveway, and fence. Living Space: 1,070 ± sq. ft.
Site Area: 5,227 ± sq. ft.
Sunday, February 10 and 17, 1:00 – 4:00 p.m.